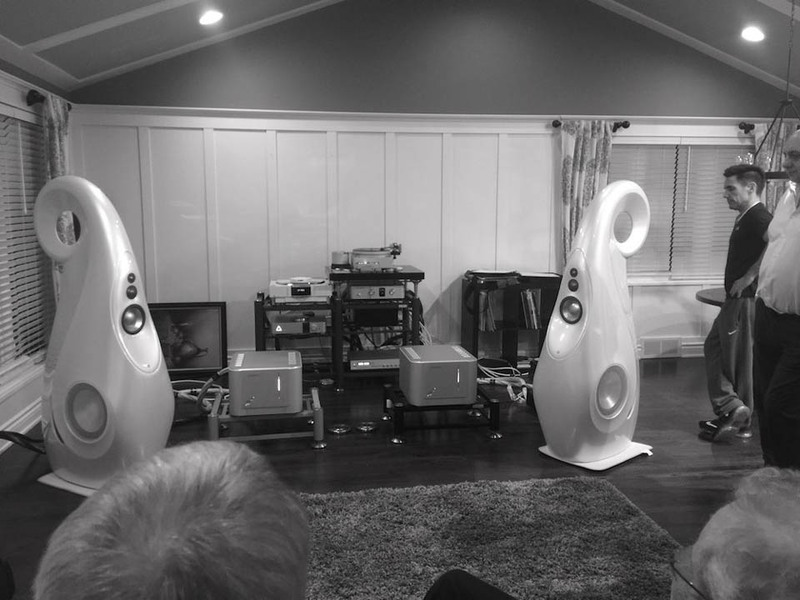 We invited the press and some out of town guests to fly in on Friday and enjoy an intimate concert by Kyomi Audio’s George Vatchnadze. 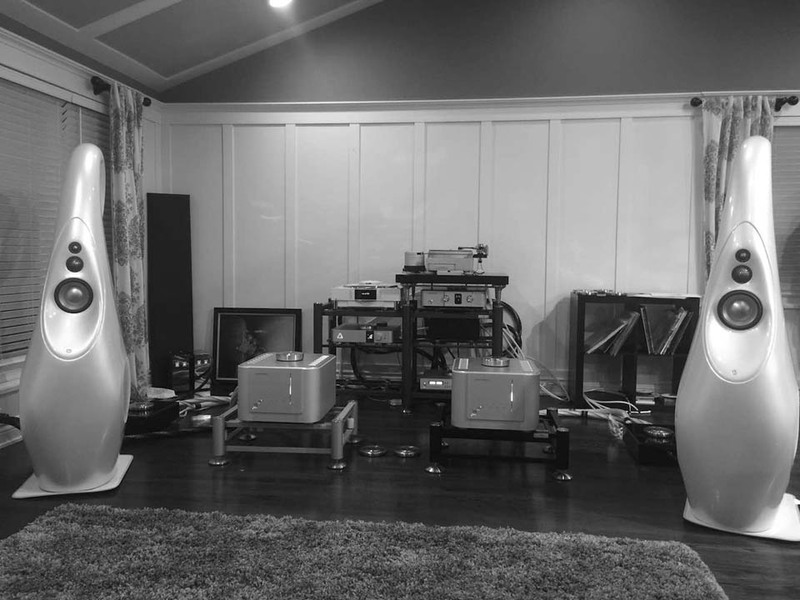 The idea was to listen to George perform the Prokofiev 6th Piano Sonata at his studio at the Music Department at DePaul University, then listen to the Exton DSD recording that night at his home on the Vivid Giya G1 loudspeaker. After Beethoven completed his monumental 32 piano sonatas in the long form (four movements), most composers afterwards opted for the short form (single movement) to avoid comparison with the grand old man from Bonn. Prokofiev’s sixth piano sonata was first performed in 1940. Europe was at war and most Russians felt that it was only a matter of time before they too would be dragged in. So it is no surprise that the Sixth Piano Sonata—the first of the War sonatas—has a profound vein of despair running through it. The Sixth is dominated by grinding dissonances and frequent modulation, further increasing the despair of the work. Throughout most of the movements, there is a lack of a key melody. The first movement is explosive and disturbing, the second and third movements a little more melodic and romantic. George played this from memory. 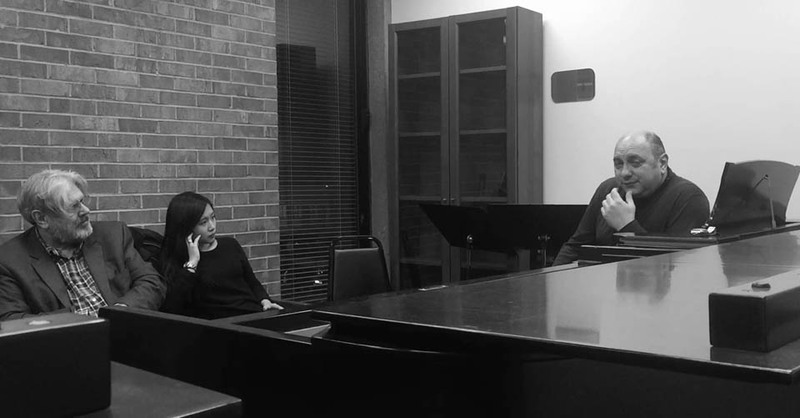 When we queried him afterwards if it was difficult to memorize, he said that the Rachmaninov Third Piano Concerto was in fact even more difficult, with over 25,000 notes for the piano alone. Kyomi’s Giya G1 playing the Exton recorded DSD files of Prokofiev’s Piano Sonata #6 sounded stunning, playing through a Merging+ NADAC (behind the stool in the photo). 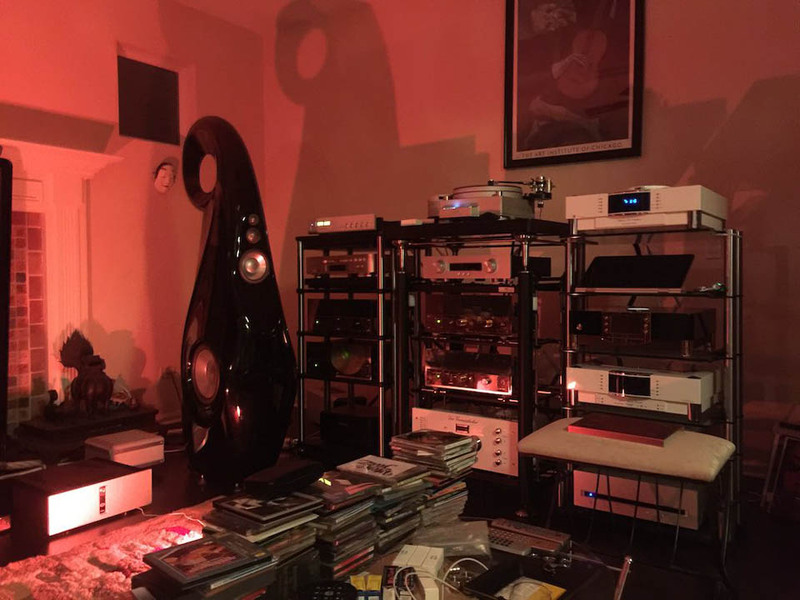 George did extensive tube rolling with Luxman’s EQ-500, TechDAS Airforce 3, Graham 9” Elite and a Koetsu rounded out the analog source. This is how the speakers were set up for most of the day (see image below). 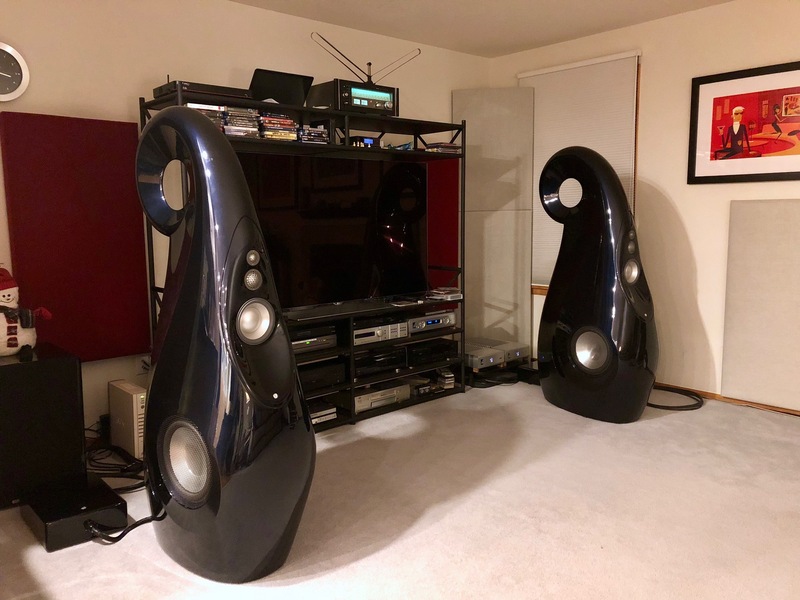 The speakers probably had 100 hours on them and were noticeably still breaking in. Some tracks sounded stunning and others were so-so. Our experience with the big Giyas is that they really deserve 1,000 hours to break-in before they reach their optimum. This is how the speakers were set up for most of the day. George Vatchnadze stepped in and performed a radical toe-in to the speakers which resolved many of the rooms’ acoustic problems. George is a fountain of knowledge regarding both music and system set-up. I suppose it helps that he has such well developed hearing. Bravo. He toed the speakers in so far that they were almost firing at each other. 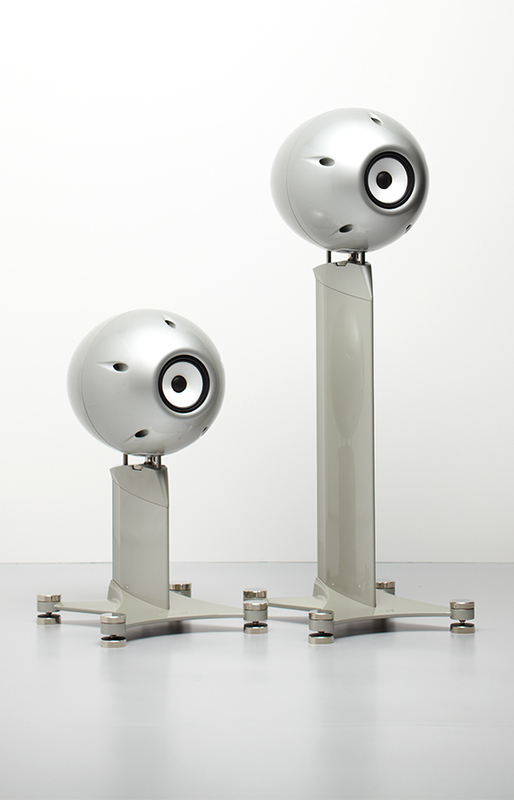 The Giyas with all of their curved surfaces, behave almost like an omni-directional speaker. Very impressive. After George toed in the Giyas, the sound drastically improved. The new mid-range woofer is noticeable in that it has considerably less distortion than its predecessor. Due to the addition of a carbon fiver stiffening ring (just like the tweeters) first harmonic distortion has been moved up from 4.3kHz over 10kHz. 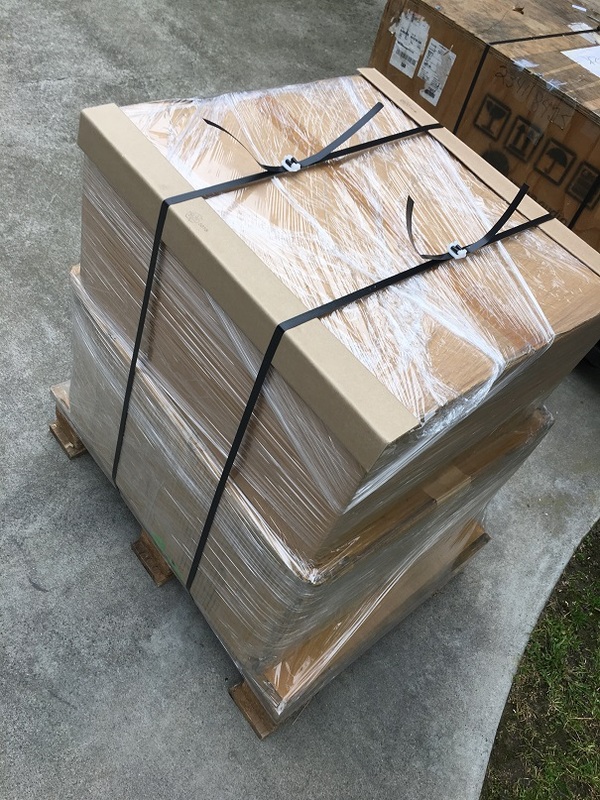 Those huge 11″ woofers sounded terrific on Bob Marley’s duet with Lauryn Hill – “Turn Your Lights Down Low.” My latest mono vinyl compilation “Mono Jazz” sounded terrific on both systems—Listen on Tidal here. Photo credit: Greg Weaver of The Absolute Sound. Doug Schneider—Founder of SoundStage!—wrote a great piece about his first impressions of the G1 Spirit after attending the Chicago launch. You can read the full article on the SoundStage! Global website. 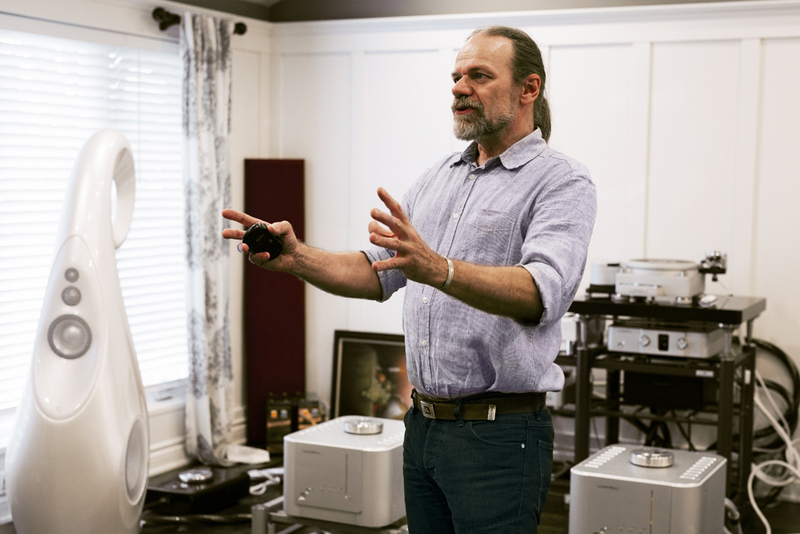 John Atkinson—Editor of Stereophile—got a chance to sit down and interview Laurence Dickie, the chief designer at Vivid Audio about the G1 Spirit. 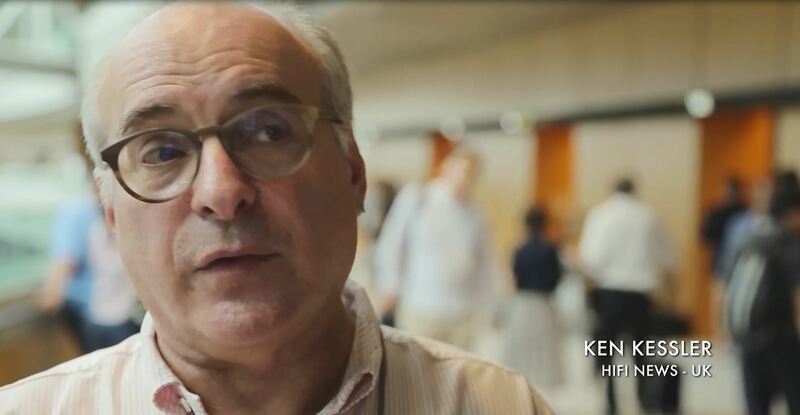 You can watch the interview below or read the full article on Stereophile’s website. Read the full show report from The Absolute Sound here. We would like to thank Mario Presta for opening up his home for this event. Mario was a terrific host and the guests were treated to a fantastic assortment of food and beverages all day. A more gracious host would be hard to find. 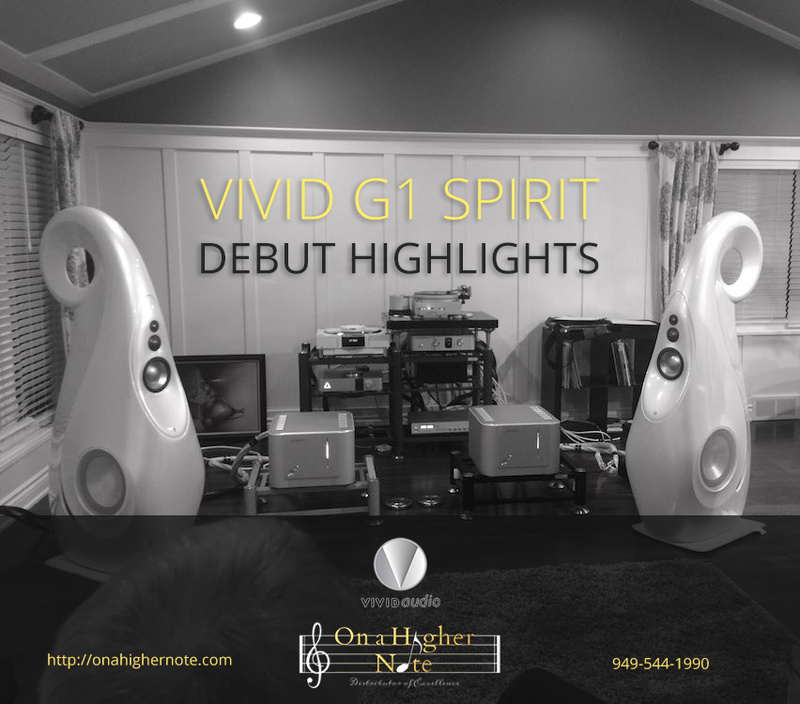 Learn more about the Vivid G1 Spirit loudspeaker here or call us at (949) 544-1990 to schedule an audition. This entry was posted in Show Reports and tagged G1 Spirit, New product debut, Vivid Audio.